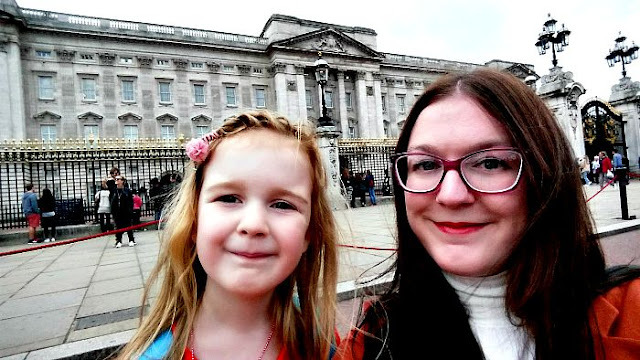 Last week I took my biggest girl for a girl's day out in London, along with my friend Leonii and her daughter Vay. The girl's are really good friends and were so excited to spend time alone with us without their siblings. 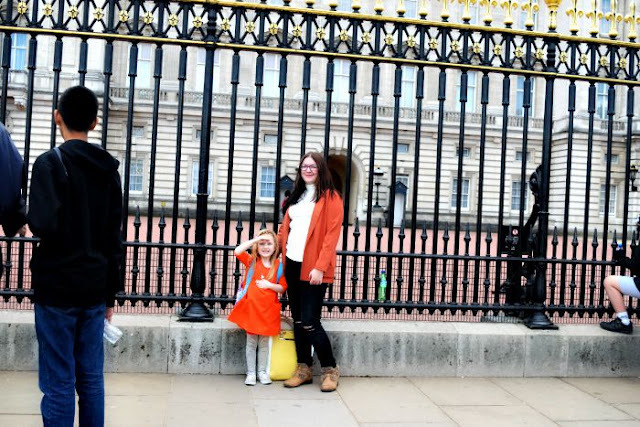 We had been invited along to a child-friendly press event in London and so we decided to make a day of it and show them a few must see places while we were there. Of course the main attraction of the day was Buckingham Palace. I have only been once myself, back when I was around 7, my Dad took me and I still now remember that day and how magical it felt seeing the Palace. That was actually the one and only time I had done all the tourist things in London so there is still so much I would love to see. 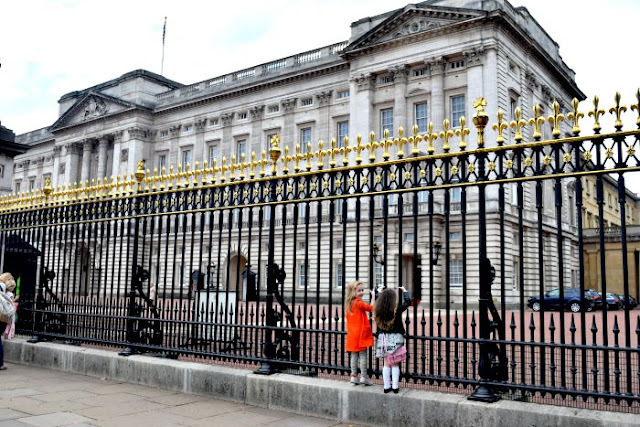 We got off the tube at Green Park and took a nice stroll over to the palace and the girls were amazed. Immediately climbing up to get the best view they could. I love looking back at the photos as you realise how small they are next to the palace and so you can see just how big it must have seemed to them looking up. 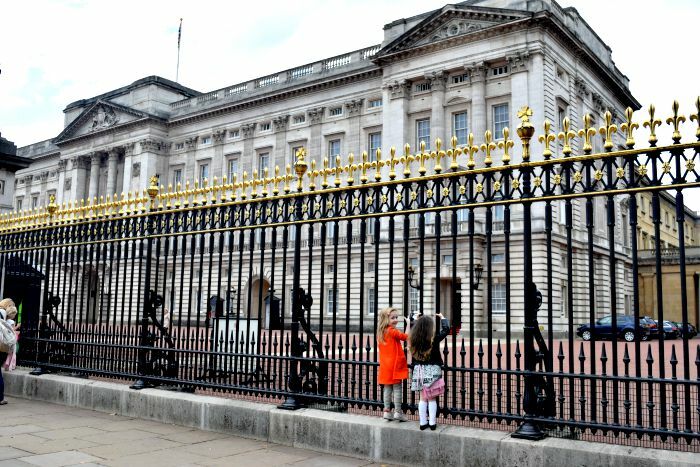 They also spotted Soldier's (Queen's Guards) outside the palace and Gracie has been saluting non-stop since as she was so excited to see one in real life and must tell everyone she see's. 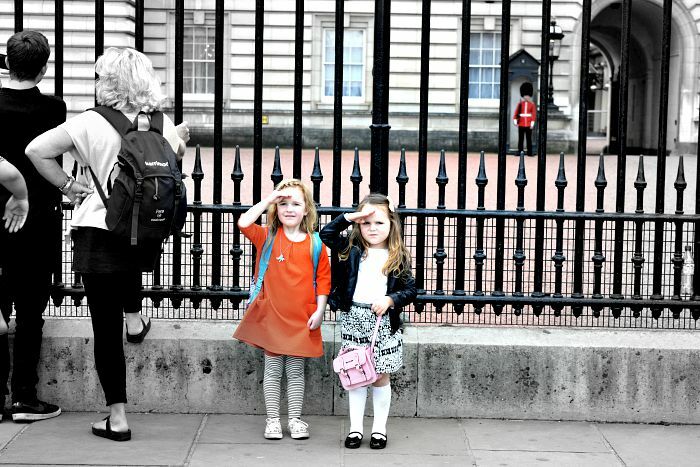 They were both quite disappointed that the Queen didn't come out to meet them! She must have been busy that day! It was really lovely spending time with Gracie and giving her all of my attention, something that doesn't happen often and with her going to school full time this week I just know I am going to miss her so much! We didn't have long left but we had promised the girls a trip to the Natural History Museum. This is somewhere I have always wanted to go. I would especially love to visit the New York museum one day. It was much much bigger than I expected so we knew we wouldn't be able to explore the whole museum. The girl's wanted to see the Dinosaurs more than anything so we went off in search for some Dinosaurs and found a HUGE one which they were very pleased with. We found some other bones, fossils and other exciting things, but when we were heading up to the next floor when the girls were getting tired and the day was getting late so we headed off for lunch promising to return again some time before getting a train home. It was a fabulous day. We walked over 16,000 steps in the 12 hours we were out and were extremely tired by the time we got home. 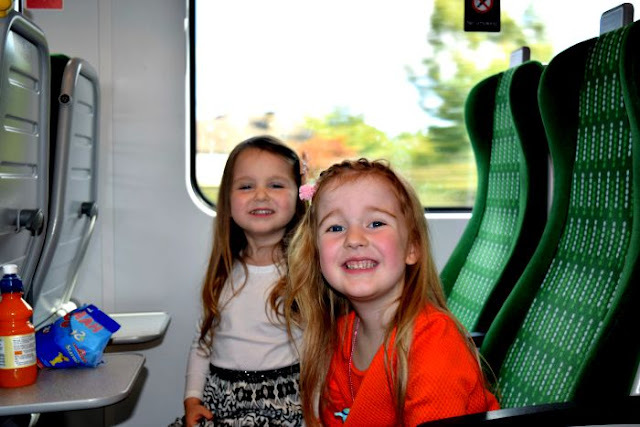 Gracie said it was the 'most fun day ever' and we have decided to take the rest of the family on a trip to the capital for Zach's 3rd birthday this month for even more exploring! As we are going back later this month, I would love recommendations for must-see places in London? I did the same with my son over the summer - Buckingham Palace and Natural History Museum too. Love London. What a brilliant trip out together! I love the Natural History Museum...it's time I went back for a revisit. Lovely photos too. What a fun day out - also even train journeys are their age are an adventure. 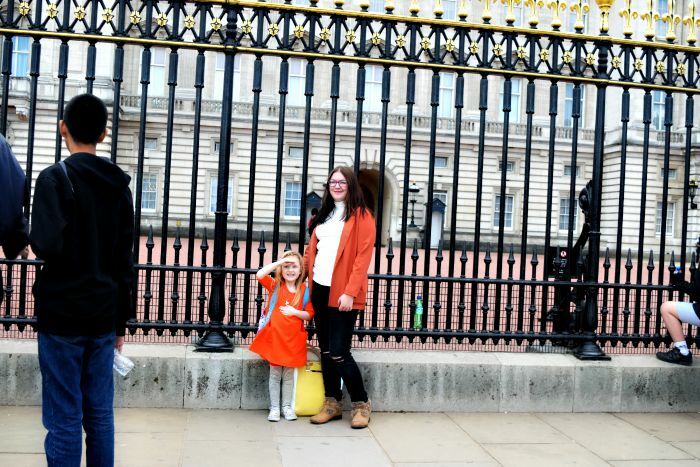 We love London as a family and usually do the Buckingham Palace, Big Ben and Oxford Street route! What a lovely day you had - I love these pictures! There's always so much to do in London. We live here and never get around to all the things we'd like to try out! 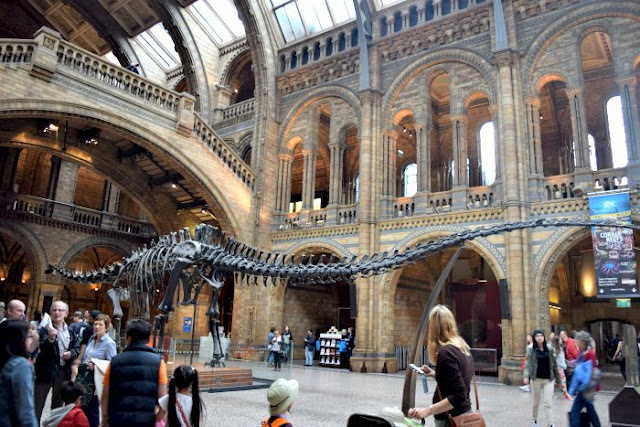 We went to the Natural History Museum this summer too! What an experience! You need a whole day just in there! I love their posing outside the palace.